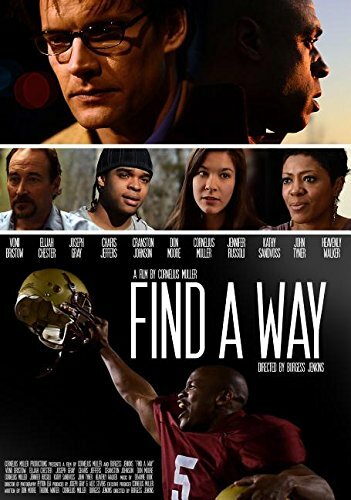 Find a Way – A powerful film about persevering through trials, grief, and doubt. In Burlington, North Carolina, high school senior Harry Cohen was an inspirational young man, star athlete, friend to all, and a strong Christian. But one morning he didn’t wake up—leaving his family to question their faith and why God would allow such a thing to happen. Harry or as everyone calls him, Smiley is everyone's friend. He is a the high school team's star football player, a good guy who would do harm to no one. He cares about his family, friends, life and God. He's the guy who will even taking a cross off his own neck to give to a friend because she needs to find hope in her situation. Smiley has his whole future in front of him. He is on the cover of local papers, everyone knows Smiley will play college football and obviously eventually go pro. He has the world at his feet. One day Smiley doesn't wake up. I don't think we even know why this young man just dies. His family, friends and town are floored and do what they can to make sense of his untimely death. Loosely based on a true story about a H.S. 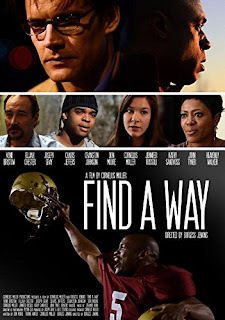 football player Harry Cohen this movie focuses on the lives of others. The football couches father wants his son to play football but he wants to sing. Another friend's parents are separating, everyone is losing faith. Like all feel good movies, characters must move through the pain to come out stronger on the other side. The only downside was that Cranston Johnson (Smiley) isn't in the movie for long. Wish we could have seen him more.